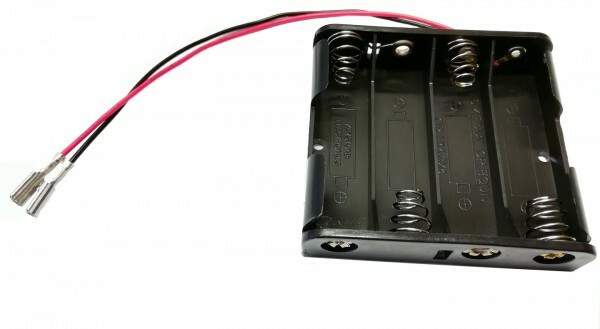 Product information "Battery holder with cable + connections (Batteriehalter mit Kabel+Anschlüsse)"
A separate bracket is required for installation in VSB+ST. In this case please contact us. Thank you very much. * Please always use AA alkaline batteries, NO rechargeable batteries, NO zinc-carbon batteries ! Related links to "Battery holder with cable + connections (Batteriehalter mit Kabel+Anschlüsse)"
Customer evaluation for "Battery holder with cable + connections (Batteriehalter mit Kabel+Anschlüsse)"